Adding an extension to a property can help you to achieve a variety of goals. Allowing you to gain additional space without having to move house, such changes can also increase the value of your home – but what do you need to think about before going ahead? Planning an extension is not a simple endeavour, as there are numerous elements that need to be carefully considered before the work can start. These range from planning permission and design to finding the right workmen and finishing touches like carets and wallpaper. The number of factors to consider may make the process seem somewhat daunting, but this feeling can be overcome by breaking it down into steps and taking the time to plan. Perhaps the most important thing to consider before doing anything else is planning permission. Whether or not you need planning permission will depend on the type of extension you wish to create and its size. For example, as a general rule, extensions with a roof higher than the existing roof’s highest point will require planning permission. If you are unsure whether your new living space will need this, it is essential to check with your local council prior to booking any work. Deciding on what kind of extension you want is the foundation of your project. While the term ‘extension’ may immediately make you think of adding a room or two to the back or side of your property, don’t forget it also includes work such as loft conversions. Indeed, if you have loft space that’s simply storing old, unwanted possessions, you could harness this as an extra bedroom instead – perfect for expanding families. Loft conversion quotes can help you ascertain whether this is an affordable path for you; you may find it is a cheaper alternative to adding an additional portion to your house. If you don’t have a loft or you have your heart set on expanding your home to a greater degree, there are a number of things to consider. For example, how large do you need the space to be – and what do you intend to use it for? If you would like a bathroom to be included, for instance, you will need to consider the plumbing required, while any space will benefit from the expertise of heating engineers. Another point to consider is continuity. 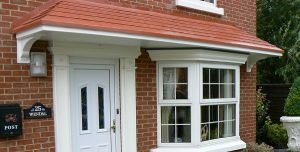 You will want your extension to match the rest of your property as far as possible, so make sure that similar materials are used for the roofing, and that any new doors and windows work well with existing ones. As extensions are typically expensive endeavors, it can be tempting to have a go at carrying out the work yourself. However, extensions are significant projects that require a vast range of skills and technical knowledge. As such, tackling these yourself creates a huge amount of room for mistakes – errors that could be extremely costly to correct should they occur. Therefore, calling in the services of professionals is an invaluable step. Not only will they make sure the work is carried out to a high standard, but they can also provide advice on important issues, such as retaining walls. Finding a team you can trust is crucial, so it’s well worth using a service that can help you to find exactly the right local roofers and other professionals for the job. By taking advantage of a directory that also allows you to see how other consumers have rated these services, you can feel confident that you are securing the help of those who will do the best job. While your chief concern when planning an extension is likely to be the infrastructure and actual building process, don’t forget the decoration that will be needed once it’s complete. Consider whether you want to make the space blend perfectly with the rest of your home – or if you would like it to stand out dramatically. When drawing up the plans for your extension, do not underestimate the importance of budgeting. Make sure you are realistic with what you will be able to achieve, and leave some extra money to act as a buffer in case anything goes wrong. Ensure the cost of building materials is included in quotes, and take into consideration the price of any decorations and furnishings you will want to add once the building work is complete.